The recent snow storms that have created a winter wonderland among streetscapes and campuses from New England to the Midwest to Europe may have you wondering... Does the Bigbelly station still work when it is covered in snow? The answer is YES! Despite being chilled, it is still accepting waste, sensing how full it is, running compactions, and communicating into cloud-based CLEAN. Bigbelly’s patented power management technology enables stations to consume less than 3Wh of energy per day and the battery has more than enough energy stored to support this consumption despite any snow, sleet, rain, clouds, shadows, etc. 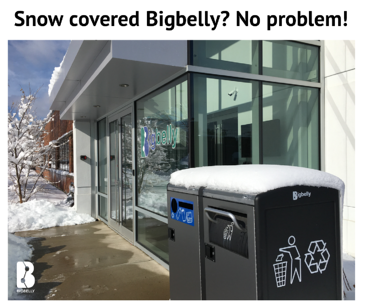 If Bigbelly stations stay covered under a snow blanket until their next collection, that's fine! Bigbelly's solar-powered stations are able to function without any sunlight for an entire month. Bigbelly units only need ambient light to fully charge their battery. It is critical that a solar-powered compactor is capable of self-powering over time... at any latitude, in all weather conditions, and without direct sunlight. Moreover, it needs to be smart about how much energy it is using... It needs to harvest more than it consumes. 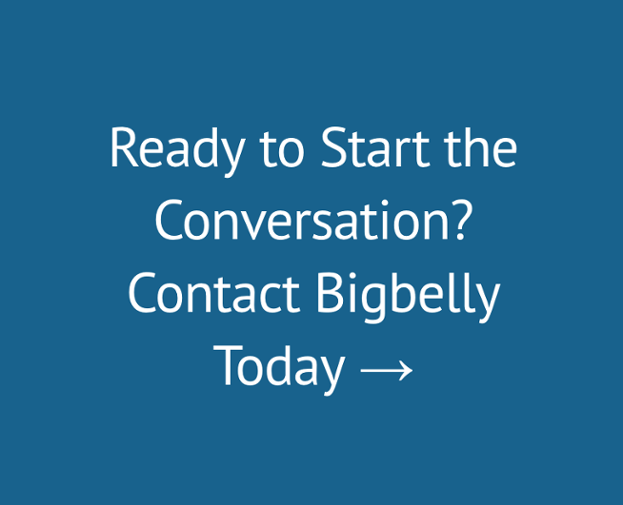 In snowy times, Bigbelly's patented energy management software is hard at work to ensures that the system does not stop working when it is needed most. Cities, towns, and campuses that are dealing with storm cleanup, snow removal, and getting utilities back up and running need to be able to momentarily shift their focus away from waste. Bigbelly's smart waste & recycling system has them covered. The system will notify crews when bins need collection, enabling reallocation of resources during a critical clean up. Extra benefit of Bigbelly in the snow? Total containment ensures that crews are not collecting fluffy nor melted snow in addition to the waste. The enclosed design keeps waste in and snow out!